This is the first study to demonstrate that HIV-1 replication can be completely shut down and the virus eliminated from infected cells in animals with a powerful gene-editing technology known as CRISPR/Cas9. The new work builds on a previous proof-of-concept study that the team published in 2016, in which they used transgenic rat and mouse models with HIV-1 DNA incorporated into the genome of every tissue of the animals’ bodies. They demonstrated that their strategy could delete the targeted fragments of HIV-1 from the genome in most tissues in the experimental animals. “During acute infection, HIV actively replicates,” explained co-senior study investigator Kamel Khalili, Ph.D., professor and chair of the department of neuroscience at LKSOM. 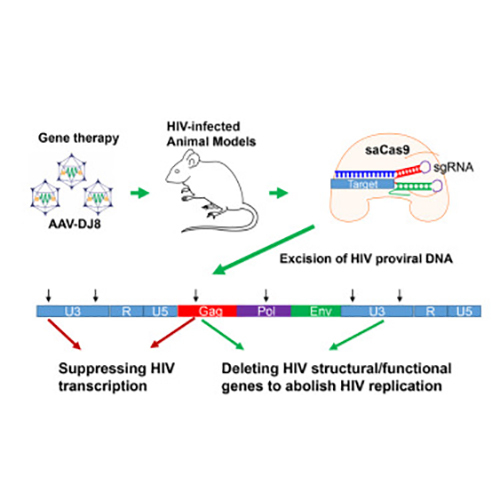 “With EcoHIV mice, we were able to investigate the ability of the CRISPR/Cas9 strategy to block viral replication and potentially prevent systemic infection.” The excision efficiency of their strategy reached 96% in EcoHIV mice, providing the first evidence for HIV-1 eradication by prophylactic treatment with a CRISPR/Cas9 system. In the third animal model, a latent HIV-1 infection was recapitulated in humanized mice engrafted with human immune cells, including T cells, followed by HIV-1 infection. “These animals carry latent HIV in the genomes of human T cells, where the virus can escape detection, Dr. Hu explained. 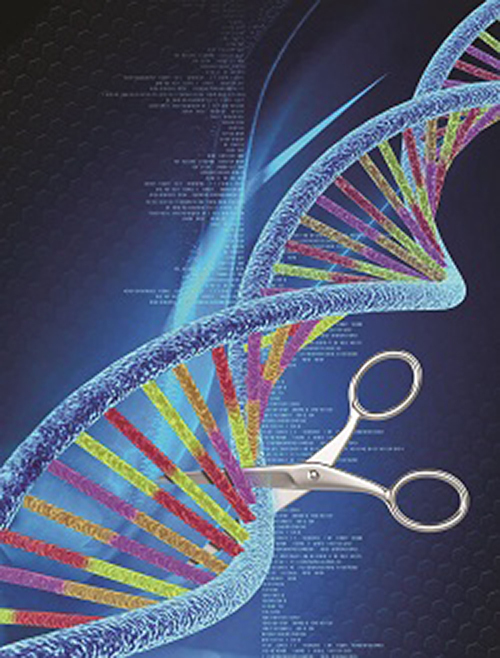 Amazingly, after a single treatment with CRISPR/Cas9, viral fragments were successfully excised from latently infected human cells embedded in mouse tissues and organs. In all three animal models, the researchers employed a recombinant adeno-associated viral (rAAV) vector delivery system based on a subtype known as AAV-DJ/8. “The AAV-DJ/8 subtype combines multiple serotypes, giving us a broader range of cell targets for the delivery of our CRISPR/Cas9 system,” remarked Dr. Hu. Additionally, the researchers re-engineered their previous gene-editing apparatus to now carry a set of four guide RNAs, all designed to efficiently excise integrated HIV-1 DNA from the host cell genome and avoid potential HIV-1 mutational escape. To determine the success of the strategy, the team measured levels of HIV-1 RNA and used a novel and cleverly designed live bioluminescence imaging system. “The imaging system, developed by Dr. Won-Bin Young while at the University of Pittsburgh, pinpoints the spatial and temporal location of HIV-1-infected cells in the body, allowing us to observe HIV-1 replication in real time and to essentially see HIV-1 reservoirs in latently infected cells and tissues,” stated Dr. Khalili.